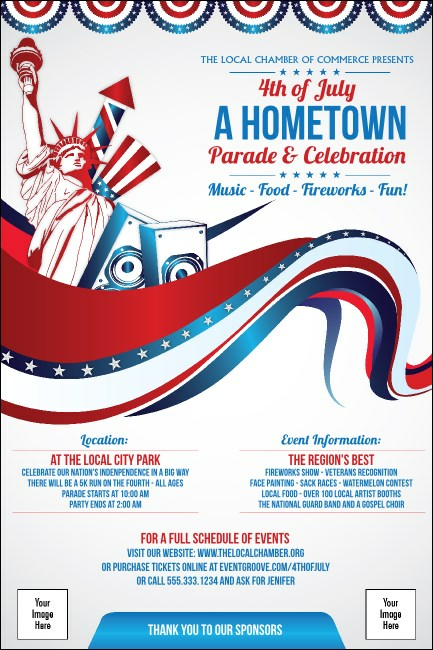 Liberate your Independence Day event advertising when you print Fourth of July Freedom Posters and post them in advance. Promote your American pride with Posters that feature a beautiful combination of stars and stripes in red, white and blue along with space to upload two of your own images. TicketPrinting.com helps you promote your event with authentic American pride.